Can Quantum Bayesianism Fix the Paradoxes of Quantum Mechanics? 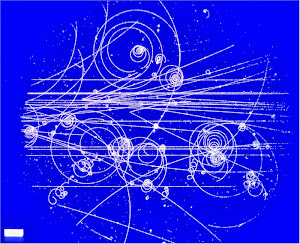 Flawlessly accounting for the behavior of matter on scales from the subatomic to the astronomical, quantum mechanics is the most successful theory in all the physical sciences. It is also the weirdest. In the quantum realm, particles seem to be in two places at once, information appears to travel faster than the speed of light, and cats can be dead and alive at the same time. Physicists have grappled with the quantum world's apparent paradoxes for nine decades, with little to show for their struggles. Unlike evolution and cosmology, whose truths have been incorporated into the general intellectual landscape, quantum theory is still considered (even by many physicists) to be a bizarre anomaly, a powerful recipe book for building gadgets but good for little else. The deep confusion about the meaning of quantum theory will continue to add fuel to the perception that the deep things it is so urgently trying to tell us about our world are irrelevant to everyday life and too weird to matter. This article was originally published with the title Quantum Weirdness? It's All in Your Mind. Quantum mechanics is an incredibly successful theory but one full of strange paradoxes. A recently developed model called Quantum Bayesianism (or QBism) combines quantum theory with probability theory in an effort to eliminate the paradoxes or put them in a less troubling form. QBism reimagines the entity at the heart of quantum paradoxes — the wave function. Scientists use wave functions to calculate the probability that a particle will have a certain property, such as being in one place and not another. But paradoxes arise when physicists assume that a wave function is real. 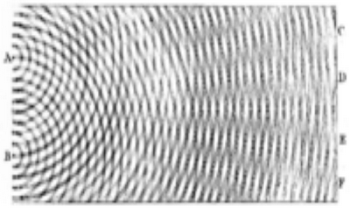 QBism maintains that the wave function is solely a mathematical tool that an observer uses to assign his or her personal belief that a quantum system will have a specific property. In this conception, the wave function does not exist in the world — rather it merely reflects an individual's subjective mental state. There is something about quantum theory that is different in character from any physical theory posed before. To put a finger on it, the issue is this: The basic statement of the theory — the one we have all learned from our textbooks — seems to rely on terms our intuitions balk at as having any place in a fundamental description of reality. The notions of “observer” and “measurement” are taken as primitive, the very starting point of the theory. This is an unsettling situation! Shouldn’t physics be talking about what is before it starts talking about what will be seen and who will see it? This is foolishness. Other previous scientific theories, such as thermodynamics and relativity, have emphasized what is seen by observers. The article explains that Bayesian statistics is all about probability not being a physical entity. So why all the emphasis on it? This whole approach seems confused. The purpose is supposed to be to "fix the paradoxes of quantum mechanics", but these alternatives are all more confusing and counter-intuitive than quantum mechanics. There is no sign that QBism would be any better. Quantum mechanics does not say that particles can be in two places at once, or that information travels faster than the speed of light. QBism is one of several misguided approaches that try to deny quantum mechanics by attributing misconceptions to the theory.